What actually makes your content shine in the digital space? Well, we got down to business. Hundreds of case studies from all over the world studied…we now present you the secrets behind of successful digital marketing. Presenting The Best of Global Digital Marketing conference. 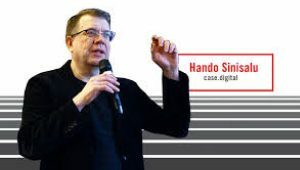 International digital winners who will present their selection of winning case studies drawn from digital awards all over the world with the objective of stimulating local digital marketers who are complemented by local panellists contributing their interpretations of the opportunities. Roman Olivarez, Creative Director at Lowe Makati City (The Philippines). Each case study will be thoroughly analyzed – campaign creators have been interviewed and the business results found. The goal of the conference? To analyze the content and the business performance of given campaigns. This jam-packed conference will be held at Sime Darby Convention Centre on 4 September 2018, from 8.30 am to 5.30 pm. Eager to know more? Head over here for more information!